5800-21.45 Radio Geronimo Shortwave Stuart Ross Playing Oldies Including 10cc" the dean and i" Strong Signal Sinpo 54444. Still Nothing Here On 9301. 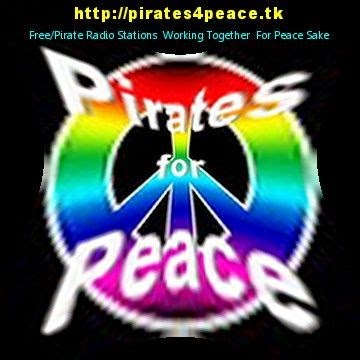 First of all we'd like to thank each and everyone for sending in reports for our June 8th broadcast and the 4 hour repeat (as a kind of test) last Sunday June 15th. We are very happy with the number of reports we received from all corners of Europe plus a good number from the USA. series 'FRS-Holland through the Years'. As always all mail will be handled, that has always been the case. May we pay your attention to the fact that colleague SW station Radio Geronimo will be conducting a 4 hour broadcast next Sunday June 22nd. Start is at 18:00 UTC=19:00 BST=20:00 UTC. Frequency is 9302 kHz/31 metres. 73s, have a good weekend! 6255-6.22 Radio Focus International With A Recording Of Radio London. Strong Signal Sinpo 54444. Much Better Frequency Than 6305, Only The Odd Utility Blast. Radio Geronimo SHortwave Sunday 22/06/14 Broadcast. BST 31 mtrs 9300khz with a bit of luck? it will be a 4 hr Broadcast? Info Via Chris Watson RGSW. Last minute news: this evening FRS-Holland will be repeating part of last Sundays broadcast. From 18:00-22:00 UTC/ 20:00-00.00 CEST FRSH will only be broadcasting on 9302 kHz (as a kind of test). FRS' signal is coming through in your area. Therefore we are looking out for reception reports. Remember our full repeat of last Sundays broadcast via the Internet:[ http://nednl.net:8000/frsh.m3u]. For mobile devices there is a 24 kbps mono stream: [ http://nednl.net:8000/frsh24.m3u]. Just like last Sunday start is at 15:52 UTC/ 17:52 CEST and 6 hours later close down will be at 22.03 UTC/ 00:03 CEST. performed quite well in wide areas of Central Europe. Thanks for all of you sending in reports...much appreciated!! 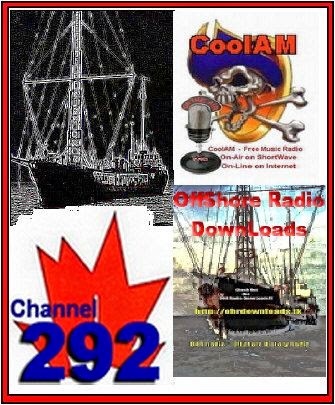 On sunday June 15th - Radio Channel292 6070 Khz./AM shortwave is air playing several Programs - created for them by CoolAM Radio! FRS Holland Sunday 15th Internet Repeat Broadcast Of Last Sundays Broadcast. Sunday June 15 FRS-Holland will repeat its full last Sunday broadcast via the Internet:[ http://nednl.net:8000/frsh.m3u]. 9485-8.10 Radio Atlantic 2000 With Music From Earth Wind And Fire And A French Song. Also Talking In French And Music From Queen And ELO. Strong Signal Sinpo 54444. Also On 6005, But No Signal Here. 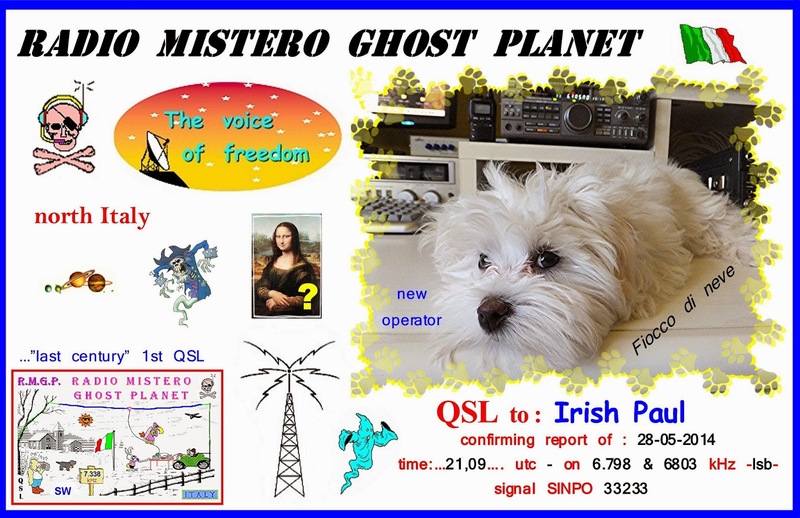 11:00 CEST) on 6005 and 9485 kHz. Atlantic 2000 émettra sur 6005 et 9485 kHz ce dimanche 8 juin de 08:00 à 09:00 TUC (10:00 à 11:00 heure de Paris). confirmés par une carte QSL spéciale. 6950-20.45 Little Feet Radio Playing Soul Music Including The Pointer Sisters" he's so shy"
FRS Holland Sunday June 8th Broadcast. Next Whit Sunday June 8th FRS-Holland will be on air with a regular Sunday evening broadcast. We start at 15:52 UTC/ 17:52 CEST and 6 hours later close down will be at 22.03 UTC/ 00:03 CEST. Frequencies will be 7700 kHz/ 39 metres as well as 9301 kHz/31 metres. Dave Scott/Radio Waves, 1980s Show/Paul Graham & FRS Golden Show/Roger Davis. Previous reports will be verified as soon as possible.....don't worry!! On Sunday June 15th we will repeat the broadcast via the Internet: [ http://nednl.net:8000/frsh.m3u]. Over The Years I have Been Very Lucky And Privileged To Have Received Many Beautiful E-Qsl's. 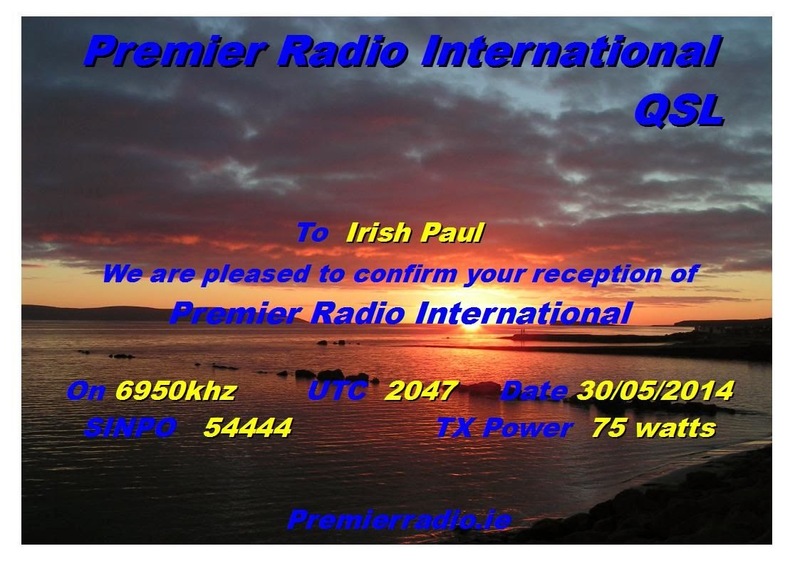 This Evening From Premier Radio I Received A E-Qsl Which Brings Back Great Memories For Me. 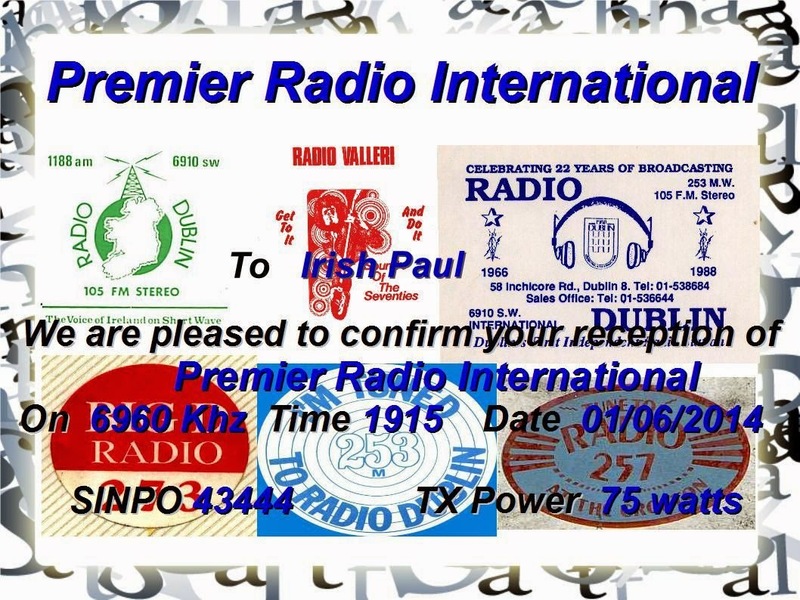 On It Are Qsl Card's From Some Of The First Irish Pirate Radio Stations I Heard. Many Thanks To Jimmy From Premier Radio. 6305-21.26 Radio Pluto With Music From Donna Summer, Soft Cell And Milli Vanilli. Also Some Dance Music And Id jingle. Good Signal Sinpo 43444.